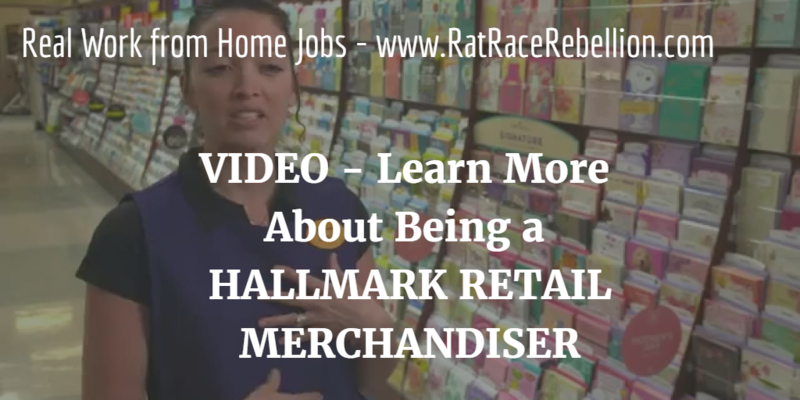 Hallmark hires part-time Retail Merchandisers nationally — home-based, with local travel — to visit stores and take care of inventory. Pay reportedly ranges from $8 to $11 per hour. Here’s a video with more detail. To apply, go here and click on “Part-Time Field Merchandising.” And if you know someone looking for a Field Merchandising job, please share the post. They’ll love you for it and we will too! This entry was posted in Merchandising and tagged Hallmark. Bookmark the permalink.